Sandstone Natural Split Crazy paving in a driveway. Teak Sandstone Pavers and Pool coping. Rainbow Sandstone Paving and pool coping. Natural Split Sandstone Crazy paving and pool coping. Sandstone Pavers with a natural split finish surface laid in a courtyard. Natural Sandstone Paving with a bluestone border on this pathway. Sandstone Pool paving and pool coping pavers. Sandstone Paving with a bluestone border throughout. Natural Sandstone Pavers and pool coping pavers. Non slip Sandstone Pavers and bullnose pool pavers on stairs. Honed Sandstone Pavers and pool coping which are non slip. Sandblasted Sandstone Paving which are non slip surface for driveway use. Honed surface Sandstone non slip pool coping and pavers. Natural surface Sandstone crazy Paving. 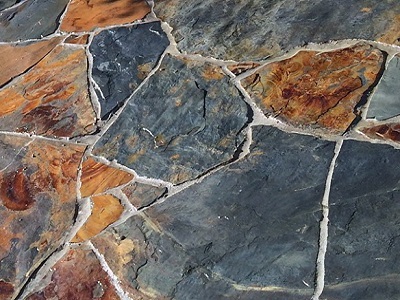 Himalayan internal sandstone floor tiles. Sandstone Pavers laid in french pattern on a pathway. Pathway with Natural split Sandstone Pavers. Himalayan Sandstone Pavers in a modula pattern in a outdoor area. Sandstone Natural split pavers non slip. Honed non slip Sandstone pool coping pavers. Pool paving in Sandstone Pavers with pool coping pavers. Honed Sandstone Pavers laid in a flagstone pattern with honed bullnose pavers. Natural split surface Sandstone pool Pavers. Natural split Sandstone pavers and pool coping pavers. Pool paving and coping in Sandstone Pavers. Natural split Sandstone Pavers with a non slip surface. Pool paving and pool coping pavers in Natural split Sandstone. Sandblasted sandstone pavers and square edge pool coping pavers. .
Natural split Sandstone stepping stone Pavers with a naural edges and surface. Natural split Sandstone crazy paving laid in this outdoor area. Himalayan internal Sandstone floor tiles with a non slip surface. Natural split Sandstone Pavers in a modula pattern laid on this pathway. 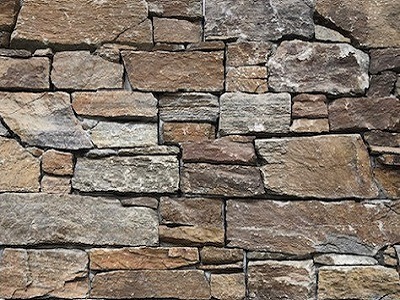 Natural split surface sandstone pavers with a chiseled edge used on a vertical wall. Himalayan Sandstone paving laid in a flagstone pattern in this alfresco area. Himalayan Internal sandstone floor tiles laid in a french pattern. Natural split surface sandstone paving and pool coping. Sandblasted sandstone aris edge pool coping pavers. Himalayan Sandstone flagstone paving used internally as they are non slip. Natural split sandstone pavers with a non slip surface laid on this outdoor pathway. Outdoor sandstone pool paving and matching bullnose pool coping pavers. Non slip honed sandstone pool pavers and pool coping. Outdoor natural split surface sandstone pavers with a bluestone border. Honed/smooth sandstone paving with a non slip surface used internally. Honed Teak non slip Sandstone paving and pool coping pavers. Large Format Sandstone pavers used as stepping stones and pool edging. Natural split Sandstone stepping stones used as a pathway. Sandstone Pavers with a natural split surface have been used in this garden. Honed surface Teak Sandstone Pavers used as wall cladding on this house. Natural split Sandstone crazy paving being used on this home as walling stone. Natural split Sandstone non slip paving with a bluestone border. Sandstone Pavers and pool square edge coping with a non slip natural surface. Honed non slip finish Teak Sandstone Paving and pool edge coping. Honed Teak Sandstone Pavers and square edge pool coping pavers which are non slip. Teak Sandstone bullnose pool coping Pavers and paving. Shotblasted Sandstone Pavers and pool square edge coping. Sandblasted Sandstone Paving and bullnosed pool coping pavers have been put around this swimming pool. Natural Split surface Sandstone pavers and pool coping. Honed/smooth non slip Sandstone Pavers used as stepping stones. Honed/Smooth Sandstone pool coping rebates and paving surrounding. Natural split Sandstone Paving has been laid in this outdoor area. Large pool coping in a honed/smooth Sandstone Paver with a non slip surface for around a pool. Sandstone natural split crazy paving with a non slip finish. Natural split Sandstone crazy paving with a non slip finish. Honed/smooth Sandstone Pavers which are non slip laid on this pathway. Natural split Sandstone crazy Paving and stepping stones laid in this outdoor area. Shotblasted Sandstone Paving and square edge pool coping pavers. Non slip honed/smooth Sandstone Pavers and pool coping pavers have been put on this outdoor pool area. Natural split finish Sandstone Pavers and bullnose stair coping. Natural split Sandstone Pavers laid on this pathway with a bluestone border. Non slip Sandstone Paving in a flagstone pattern on this outdoor area. Natural split surface Sandstone Paving and pool coping pavers with a bluestone border. Natural split Sandstone Paving and pool coping pavers have been laid around this swimming pool. Himalayan Sandstone Pavers with a non slip finish have been put on the walls and stairs of this home. Natural split Sandstone crazy paving and bullnose pool coping pavers have been put around this outdoor pool. Sandblasted Sandstone Paving and pool coping pavers. 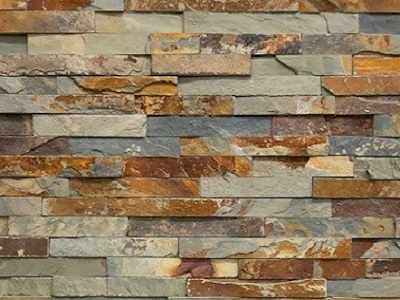 Honed finish Teak Sandstone tiles being used as wall cladding. Natural split surface non slip Sandstone Paving and bullnose edge pavers with a bluestone border. Natural split surface Sandstone outdoor pavers and stair edging. Himalayan Sandstone pavers and stair edging with a non slip surface. Honed surface Teak Sandstone tiles laid as wall cladding on this house.